In this article, we shall outline basic factors which can help you get more traffic to your online store. These factors cover the basic principles required to increase organic traffic for your site, by improving your site’s ranking on Search Engines. The higher the rankings, the more traffic. E-commerce is an immensely rewarding, but extremely competitive industry. Most e-commerce entrepreneurs create stores, populate the stores with products and then hope that traffic would magically be directed to their store. This is a very rosy perspective of the world. E-commerce SEO is a distinguishing aspect between the failure and success of an e-commerce site. SEO can help increase organic traffic to catalogue and product pages. The quantity and quality of backlinks pointed at your website, is Google’s top ranking factor. With E-commerce websites the problem is finding high ranking websites to link to your site, when the site only has products and no significant or valuable content. This problem can be overcome by publishing awesome and valuable content on your commerce site. Using a blog allows you to publish content, and thus build up your site’s overall domain authority. This indirectly improves the search engine ranking of your site’s product and category pages. A real world examples of this tactic, can be seen with commerce giants like E bay, Amazon and the Creative Market. These companies very rarely have links pointing to their product pages. Thus these company websites are ranked on search engines based on their site wide link authority. Thus use content marketing to increase your site’s overall domain authority. That boost in domain authority will increase the overall ranking of your site’s product and category pages. With most e-commerce websites, a percentage of search engine traffic goes to product pages. A hundred percent of conversions come from product pages. This means the more traffic to your product pages, the more money you will make. Product tags most likely contain keywords, that customers use to search for a product. Taking sneakers as an example, a product tag would be “Red Sneakers”. Modifiers for this product tag are terms that customers often use in searches eg. cheap, comfortable, stylish. Thus the modified title tag could be something like “Cheap Comfortable Red Sneakers”. Thus, products will show up for searches that contain those modifiers. Optimise titles for click through rates (CTR). Higher CTR means more search engine traffic, and thus potentially more sales. CTR can be boosted by adding magnet words to your product and category page titles. Examples of magnet words are “free shipping, low price guarantee, 34% off, trusted supplier”. – Include at least a 1000 words of content on your most important product pages. A 2017 study by ahrefs found the average #1 ranking page will also position for about 1,000 related keywords. This applies to e-commerce as well. By providing more content Search Engines and customers understand your product better. Obviously time limitations, prevent entrepreneurs from creating such lengthy content for each product. A solution is to create long product descriptions for your 10 most important products. – Include your target keyword 3 – 5 times per product page. 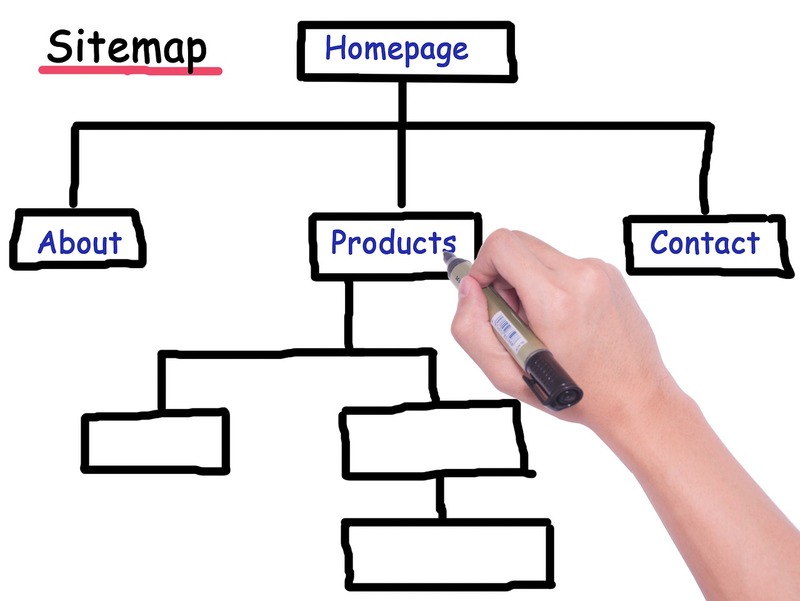 Site Architecture or how pages arranged is an important consideration for all websites. Site architecture is even more important with e-commerce websites. The reason being that the typical commerce website has more pages then your typical website or blog. Site architecture makes it easier for users and search engines to find the most important pages on your site. To achieve good website architecture follow the Golden rule of commerce site architecture: “keep every page three or fewer clicks from your home page”. A real world example would be a store selling coffee mugs. An e-commerce website built with the golden rule in mind a customer would reach the product page as follows: Home Page > Catalogue > Coffee Mug > Black Mug. Shorter URLs tend to rank better then longer URLs. Following these basic steps can drive traffic to any website or application. Posted in Ecommerce, SEO and tagged seo, traffic.